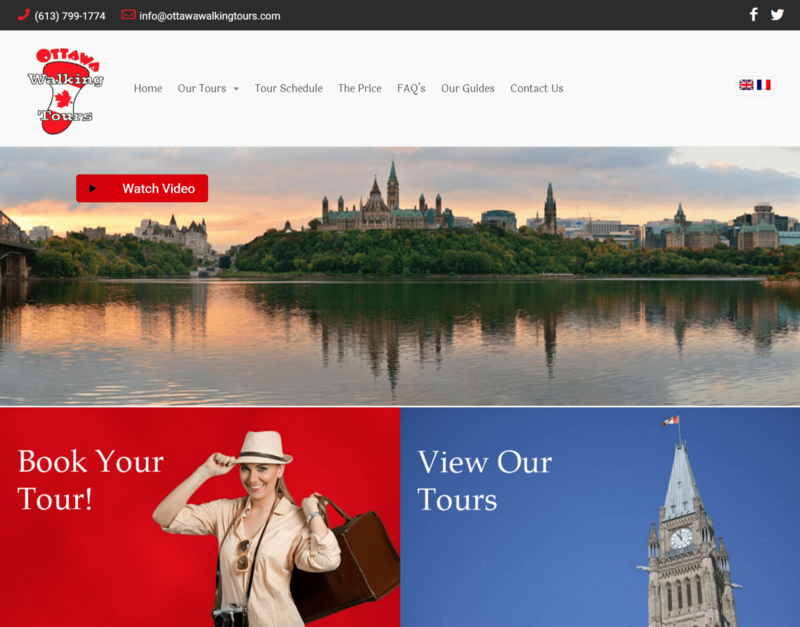 APM Solutions initially designed and developed the Ottawa Walking Tours website in 2007. Needing a bit of a refresh, Ottawa Walking Tours contacted me again to redesign and better integrate their online walking tour events and increase their online presence. The new website used a modern look and feel and implemented a responsive web design to allow their customers to book online via mobile devices. Their redesigned website also includes multilingual features to allow out of province and out of country tourists be able to book their tours in their own language. I was also able to integrate PayPal payment processing to ensure visitors can book and pay for their tickets online ahead of their tour dates. With Frequently Asked Questions, bios on all tour guides, and detailed information on each tour offered, Ottawa Walking Tours have a website that will allow them to be ahead of their competitors in the Ottawa region. Adam has been a fantastic service provider for our company’s website design and development. Adam is prompt, professional and efficient when dealing with our web based questions and concerns. We always feel like his number one priority when we ask for assistance with technical matters and he is always willing to explain and address our needs in a quick and professional manner. We highly recommend Adam and APM Solutions for your web related business needs.